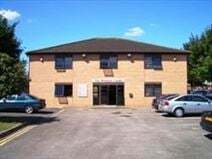 Located between the towns of Cheltenham and Gloucester, this leased offices are an attractive proposition for both emerging and start-up businesses. There are also industrial units, warehouse and storage spaces available for rent in addition to the offices. The entire site is accessible 24-hours a day, 7 days a week and it is also fully-managed - maintenance and security patrols are employed outside of working hours. Excellent location for motorway access (M5) and transport links. Stylish office building offering high-class business offices coupled with exceptional support services. 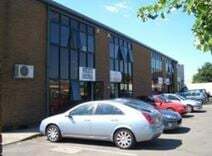 It mainly caters for small and medium sized companies - the office unit is carpeted throughout but not furnished as this allows tenants to create a working environment bespoke to their requirement. Excellent location between Gloucester and Cheltenham, convenient access to M5 motorway and local amenities.